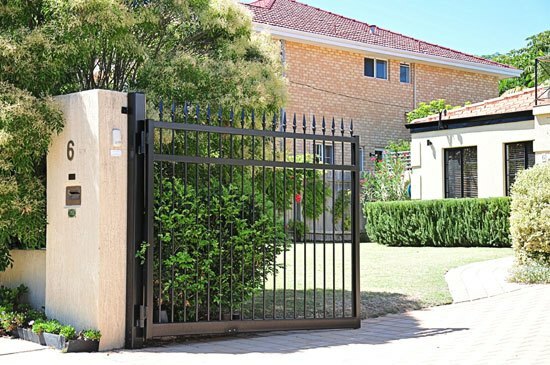 At Fencemakers, we custom design, manufacture and supplyhigh-quality, durable and safe manual and automatic driveway gates to Perth homes and businesses. 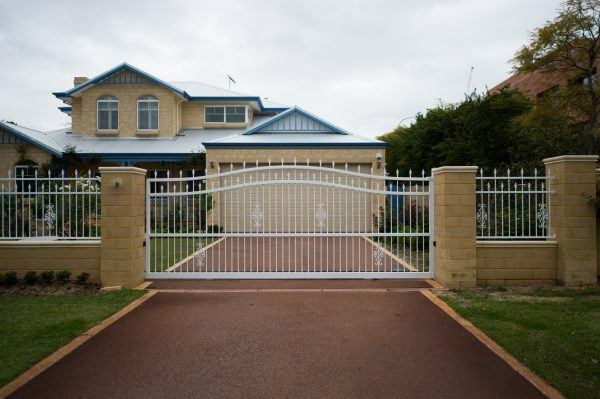 We also offer a full driveway gate installation service. Our gates can all be custom designed to suit any location, no matter the shape or size required. We can manufacture gates for ascending or descending driveways, limited access entry points, and unique or awkwardly positioned sites. 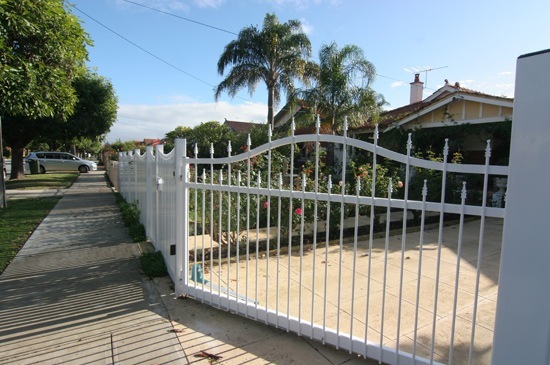 Swing Gates: are designed to swing on hinge posts – away from incoming traffic and into the property is best. However, for homes with ascending driveways, outward swinging or sliding gates tend to work better. 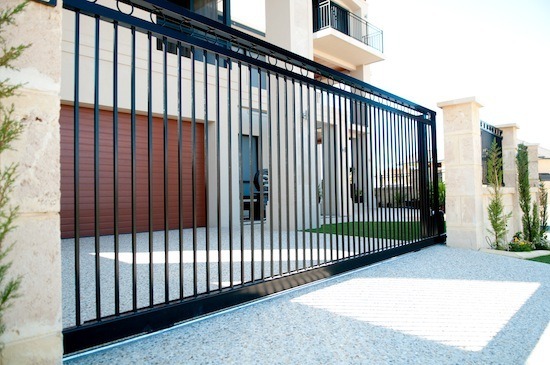 Sliding Gates: have been designed with safety in mind and are easy to use with long term value. Automatic Electric Gates: experience the luxury of our automated electric gates, designed to open and close with the click of a button from the comfort of your vehicle. 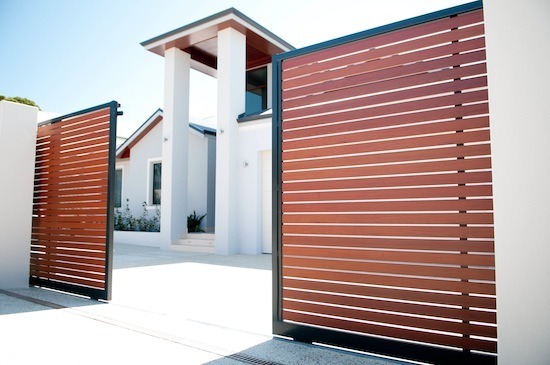 Our driveway gates come in a wide range of styles, colours and materials to suit any home or businesse. We can also provide matching gates for all of our fencing styles – tubular steel, aluminium, slat and panel, picket and smartwood! Safety for both the kids and pets. Our automated driveway gates are an ideal choice for effectively moving your first line of defence to your gateway, rather than your front door. Our range of electric and automatic driveway gates ensure your family, home or business is safe and gives you a strong sense of security. High quality, attractive house driveway gates can not only add value, but they also add the finishing touches to the style of your property. Automated gates, or electric gates, allow you to enjoy the convenience of staying in your vehicle while the gates open and close. 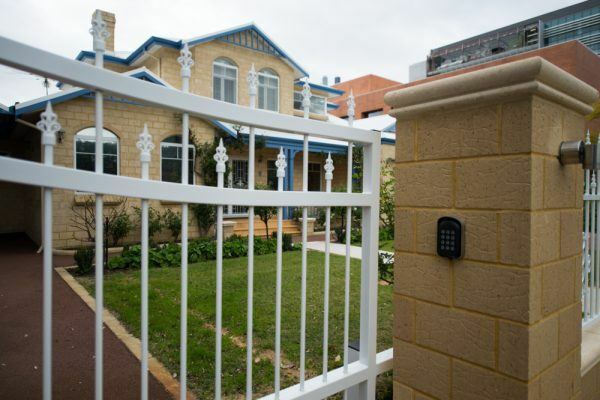 At Fencemakers, we offer automatic gates powered either by electricity or solar panels, depending on your preference. 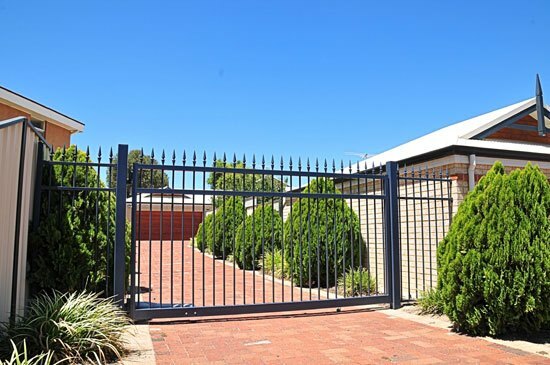 If you’re looking for driveway gates in Perth, contact our friendly team today! We can talk you through the various style and design options that are right for your property. Or if you already have a good idea of what you want for your project, request a free, no-obligation quote.